Fortnite has dropped its latest weekly update, and it’s a fairly substantial one, particularly if you’re a Save the World player. On the Battle Royale front, we’re getting the Food Fight Limited-Time Mode and a new mounted turret weapon. 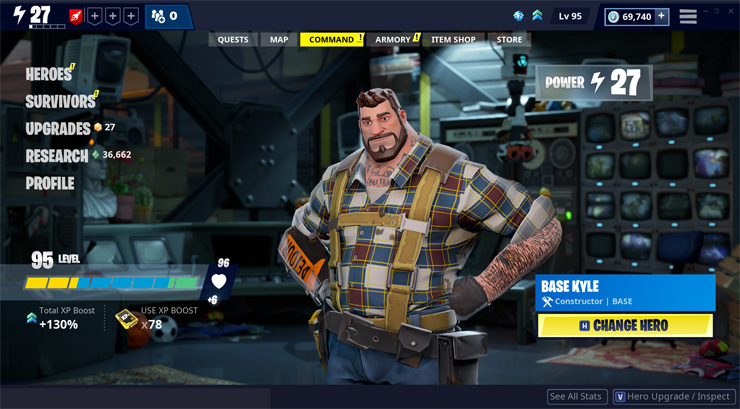 Meanwhile, Save the World is getting a full front end revamp, with the game’s menus now represented as a “Homebase” staffed by various characters you meet throughout your campaign. Looks like Epic may be gussying up STW in anticipation of its full free-to-play launch in 2019. The battle of Durrr Burger versus Pizza Pit has begun. Two teams on either side of the map. A huge barrier runs down the middle. Build a fort to protect your restaurant mascot. When the Barrier lowers, destroy the enemy’s mascot to win the match! As soon as the barrier lowers… fight to take out the enemy mascot before they destroy yours! The floor piece it is placed on is invulnerable. Pop-Up Cups are tournaments testing temporary limited time modes. Scavenger will test several gameplay adjustments – reduced material limit, faster material harvesting, and earning health for eliminations. Front End interface has been reorganized into a more intuitive player experience. Some of the menus are now associated with areas of your Home Base, and the cast of characters who work there, including several new faces! Quest – Campaign and Event quests where you can quickly launch into the game. Map – Lets you pick specific missions to play and earn specific rewards. Command – Manage Heroes, Survivors, Defenders, and Expeditions. You can also spend Upgrade and Research points here. Find more details below! Item Shop – The Llama pinatas and Event Shop can be found here. Many of the feature unlocks that used to exist in the previous Skill Tree and Research Tree – like Transformation, Recycling, Evolution, and Expeditions – have become part of quest rewards. The outlines for special enemies with headpieces will now properly match their models such as Beehive and Pumpkinhead Husks. If you need the lowdown on ever bug fix, you can check out the full unabridged notes, right here. You can also get more information on the Fortnite Save the World UI updates here. 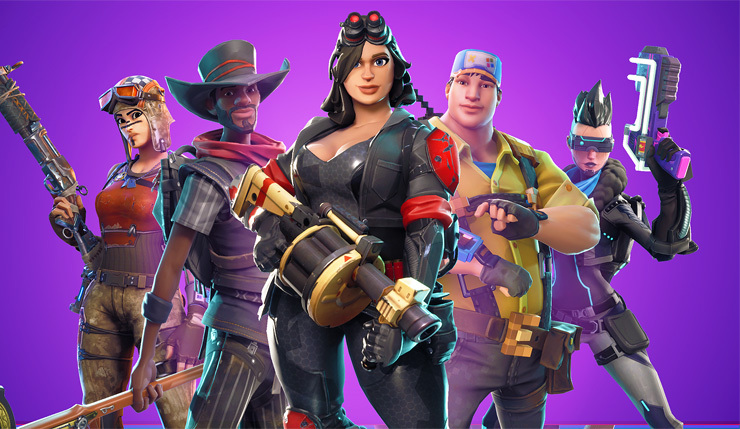 Fortnite is available on PC, Xbox One, PS4, Nintendo Switch, and mobile platforms.